What is this heresy? A review of hardware purchased new, in the 21st century? On a retro site? Well, yes. Get over it. There’ll be more coming, too. Jens Schoenfeld is something of a legend in the Amiga community: his Individual Computers brand is responsible for ‘good hardware for good computers’ and he’s certainly delivering. This is a rarity in the Amiga world, which is more used to promises of big things with no execution. The Buddha Flash Phoenix Edition is the latest incarnation of the venerable Buddha controller. Compact and bijou – in fact, most un-Buddha-like – it is an inoffensive little card with quite a bit of power. Simply put, it’s an IDE controller for your Zorro 2 equipped Amiga. 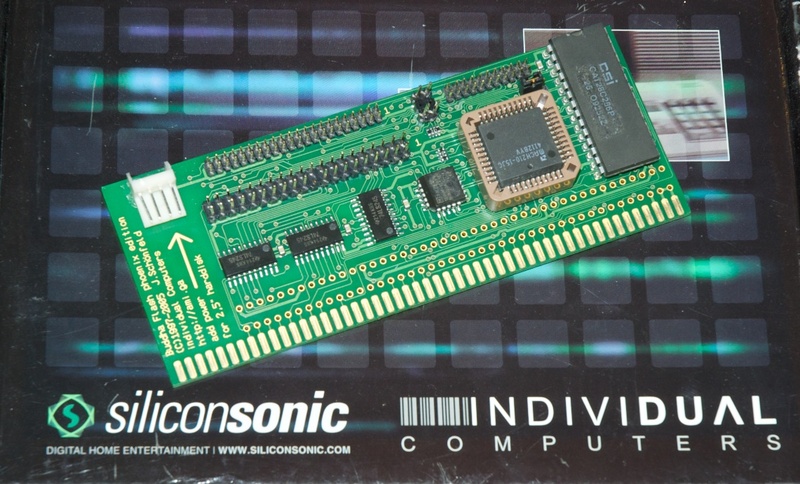 What’s more, with a little bit of jiggery pokery, it will work on an Amiga 500 or 1000, too, or even with the GB A1000 board, or Phoenix board. The device comes in a neat Individual Computers box, with an IDE cable and, if you’re lucky, a driver disk. You can download the disk from Individual Computers if you don’t receive the disk, so it’s no great hardship. The manual is conspicuous by its absence. The device provides a 44-pin connector for 2.5″ hard drives, and a 40 pin connector for your common or garden IDE connector. If using the 2.5″ connector, power is provided on the extra pins for the drive, however you are strongly advised to also connect a power supply to the board’s floppy-drive style power input. Also on board is a clock port, which is a nice addition opening up a new range of expansions to your big box Amiga. Plugging the Buddha in is a case of, for want of a better expression, just plugging it in. It works, and will instantly boot from an appropriately partitioned drive plugged in thanks to the wonders of Amiga standardisation and RDB. Any Kickstart from 1.3 or higher will support autobooting. With 1.2 you need an appropriate disk to load the basics then transfer booting to the Buddha-attached drive. Two drives are supported, a master and a slave. The 44 pin and 40 pin connectors share common lines so you need to set master and slave appropriately, irrespective of whether you are using different connectors or not. 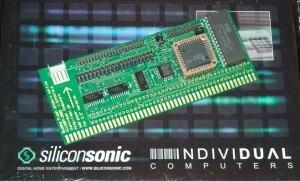 The ‘Phoenix’ portion of the name relates to using this device on the Amiga 1000 phoenix board. There are points on the card to fit an 86-pin ‘Zorro 1’ connector suitable for the front slot of the Phoenix, or GB A1000, however there are no instructions on how to do this at all which is a little disappointing. 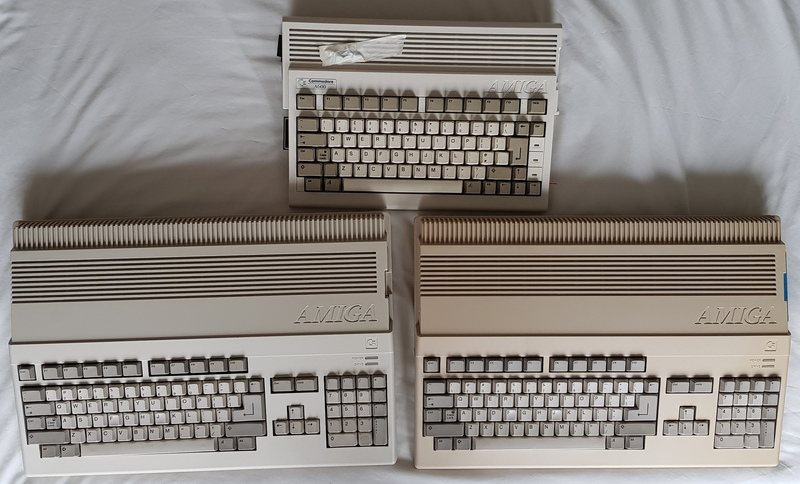 It also appears that this could be used on the Amiga 500 by fitting an appropriate connector, however it would not physically clear the A500’s case if taking this approach. With a simple Zorro to Zorro 2 adaptor, available from a seller on Amibay, this works well on the 500 and 1000. When acceleration is brought into the mix, such adaptors can cause problems because of the lack of termination on what is essentially the CPU bus: the Buddha is not alone struggling here. The card is great, it works, it’s cheap, it’s performant. There is, so far, only one serious downside that I’ve found to the Buddha: it does not support CF cards that register themselves as ‘removable’. 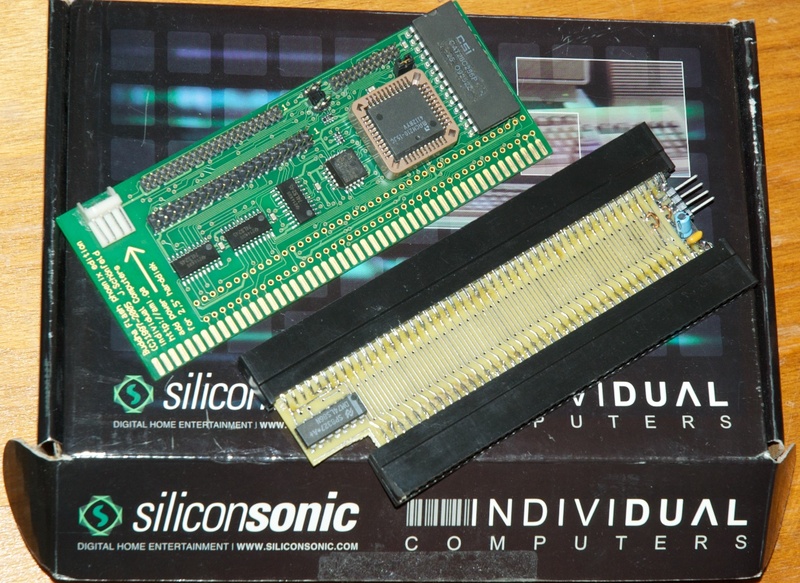 This is somewhat understandable in the strict interpretation of the IDE standard, however in this day and age – where CF is the de facto storage medium for the Amiga as a silent, low power and good value choice – it is not acceptable. Thankfully, someone with the technical acumen to fix this agrees, and has created a patch for the firmware which can skip around the problem. The inimitably useful and wonderfully monikered ‘Doobrey’ has done the necessary research and published the patch file and tools on his website. Combined with the original firmware and flash tool, this solves the problem perfectly. Just don’t forget to put the firmware ‘write enable’ jumper on the card! In conclusion, I’d recommend the Buddha to anyone wanting to put a decent IDE solution on their 2000 or 3000. For those seeking a boost for their 4000, this is not the answer. Do use Doobrey’s patch for CF cards, though, as CF really is the way forward!